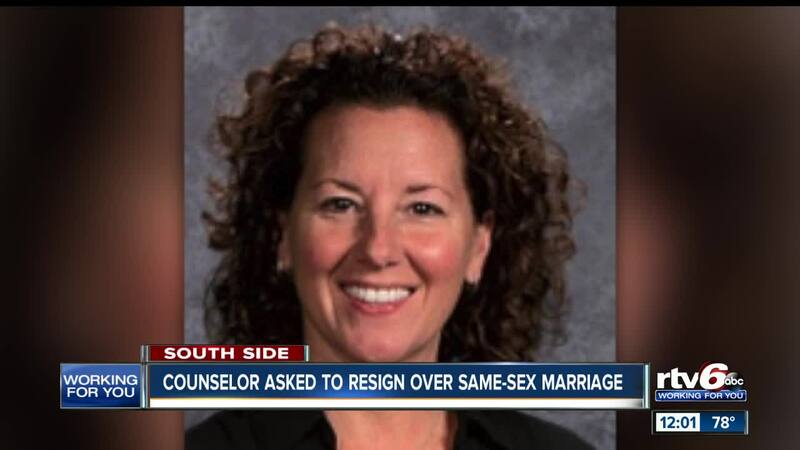 INDIANAPOLIS -- A guidance counselor at Roncalli High School says she's been given a choice to resign or 'dissolve' her marriage after she claims school administrators were told that she is married to another woman. In a message posted to Facebook, Shelly Fitzgerald says that she has had to "hide her 22-year relationship" with someone who she loves and parents with. Fitzgerald says she met with Hollowell and Weisenbach and was given three options: to resign, 'dissolve' her marriage, or, "wait it out and stay quiet and maybe I can make it the rest of the year, but they will not renew my contract next year 4." 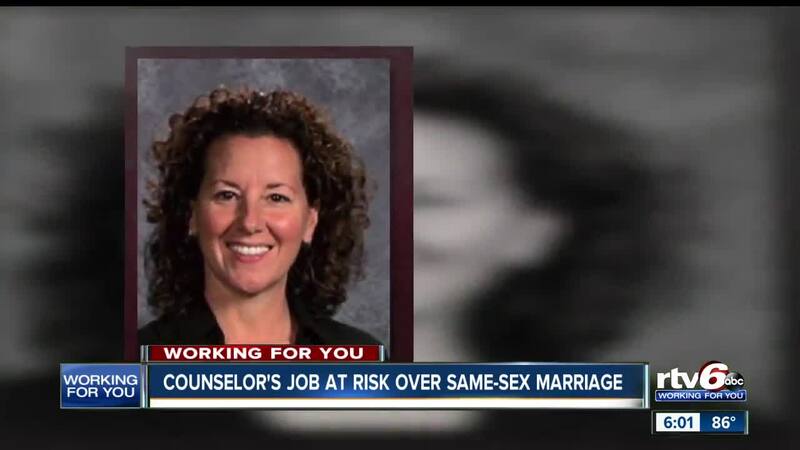 The guidance counselor says she has no intention of divorcing, quitting or, "not telling anyone why I have to leave the job I've loved so much." Fitzgerald goes on to say, "I ask that you pray for my family, for change in the world, and know I have absolutely loved my job for the past 15 years." Alumni who dropped off their shirts at Roncalli today said they aren't directly disappointed with Roncalli because they don't have enough information to know the full story, but they are disappointed with the process. "We are all from the class of 2018. I personally loved the school and trusted the administration. But because of the recent events, we have a lot of trouble supporting the school and wearing our shirts with pride. We are dropping them off respectfully and try to make a better name for Roncalli," said Dave Schrader, Roncalli High School Alumni. Roncalli High School posted a statement on its Facebook page, saying the school and the Archdiocese of Indianapolis have been made aware that Fitzgerald, "has made public a confidential personnel matter concerning her employment contract with Roncalli." "Catholic schools are ministries of the Catholic Church, and teachers, school guidance counselors and administrators are vital ministers in sharing the mission of the church. They are expected to be role models and are expressly charged with leading students toward Christian maturity and with teaching the Word of God. As role models for students, the personal conduct of every teacher, guidance counselor and administrator and staff member, both at school and away from school, must convey and be supportive of the teachings of the Catholic Church. These teachings include, but are not limited to: honoring the dignity of each human life from conception to natural death, care for God’s creation, and the belief that all persons are called to respect human sexuality and its expression in the Sacrament of Marriage between a man and a woman as a sign of God’s love and fidelity to His Church. A thorough description of Catholic teaching can be found in the Catechism of the Catholic Church." Also, the post says that expectations of teachers, guidance counselors and administrators are defined in school contracts, but it does not specifically address Fitzgerald or her claims that she was told to resign or 'dissolve' her marriage. Classes were dismissed at 2:30 p.m. Monday so that students could attend a forum to discuss the issue. A Facebook page to support Fitzgerald has more than 1,100 members and is steadily growing. 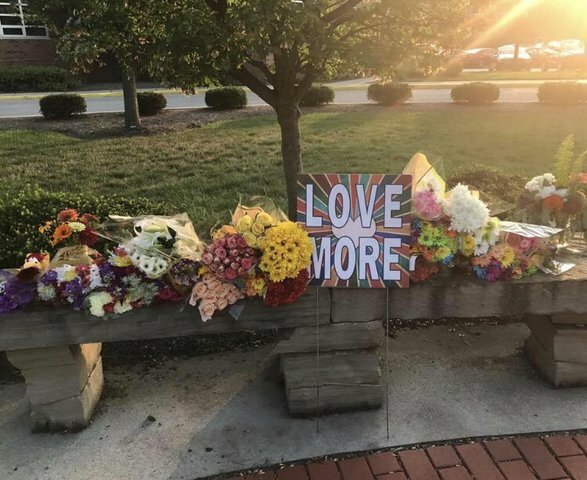 Flowers have also been placed on a bench outside Roncalli with a poster that says 'Love More'. According to a post in a Facebook group, there are flowers outside Fitzgerald's office as well.